Four dance pieces have been selected to go through to the Finals of The Place Prize for Dance, sponsored by Bloomberg, after the last Semi-Final performance. The four Finalists include h2dance’s Duet, which was the most popular piece as voted for by the live audience, with a score of 4.1. Riccardo Buscarini’s Athletes, Rick Nodine’s Dead Gig, and Eva Recacha’s The Wishing Well, were selected by the Prize’s judges Roberto Casarotto, Director of Dance Projects, Operaestate Festival Veneto (It), Sarah Crompton, Chief Arts Editor, The Daily Telegraph, Jonzi D, Artistic Director, Breakin’ Convention, Siobhan Davies, Artistic Director, Siobhan Davies Dance, and Stine Nilsen, Co-Artistic Director, Candoco Dance Company. The panel was chaired by Eddie Nixon, Director of Theatre and Artist Development at The Place. h2dance (Hannah Gillgren and Heidi Rustgaard) have been working together since 1999, producing provocative performance work that addresses political issues with humour and emotion. The company often works in collaboration with interdisciplinary teams and local communities to create evocative performances that challenge and respond to the audience. Together they have created a body of touring work. Duet is a bitter-sweet autobiographical piece questioning the very essence of h2dance’s dance production, in which the artists ask questions about the art of dance and professional partnerships in a personal, social and political context. Riccardo Buscarini is an Italian dancer and choreographer based in London. He trained at Accademia Domenichino da Piacenza and at London Contemporary Dance School. In 2011 he was a Place Prize finalist with Antonio de la Fe, and became a creative in residence at The Hospital Club. Athletes, in collaboration with fashion designer Brooke Roberts, is a reflection on competition, viewed as a tension between man and machine, set in a futuristic world where cold mechanisms shift from cooperation to conflict, from solidarity to cruelty. 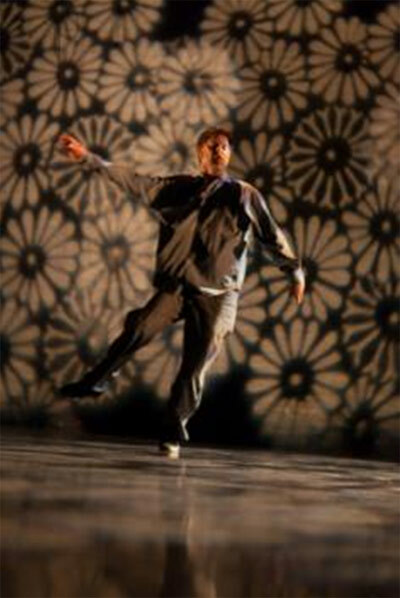 Rick Nodine graduated in biology before studying contact improvisation in the 90s. He has danced in many contexts, including theatre, dance-theatre, digital media, opera, television and site-specific dace. He has choreographed for the National Theatre, Glyndebourne Opera, Shift, EDge, Coventry University and London Contemporary Dance School. Dead Gig is a tribute to hippie dinosaurs The Grateful Dead, who made the choreographer discover dance. Eva Recacha is a London based choreographer and a Work Place artist. Her choreographic practice focuses on exploring juxtapositions of movement and text. The Wishing Well explores the ritualistic dynamics of desiring and wishing, creating a tale-like narrative. The Place Prize, sponsored by Bloomberg, is the biggest private source of commissions for new short works in British dance. By the end of this edition, it will have enabled the creation of 92 original pieces of choreography, many of which have remained in the artists’ repertoire, and have been toured in theatres and festivals nationally and internationally. The Place Prize has already invested over £1m in new British dance, and has brought leading artists, including Rafael Bonachela, Hofesh Shechter, Nina Rajarani, Adam Linder and Ben Duke & Raquel Mesenguer (Lost Dog), among others, to international attention.